MEXICO CITY (Sputnik) - Venezuelan leader Nicolas Maduro has thanked Russian President Vladimir Putin for recognition of the results of Venezuelan presidential election. "Strong cooperation ties are uniting Venezuela and Russia. I am thanking President Vladimir Putin for the recognition of our victory. 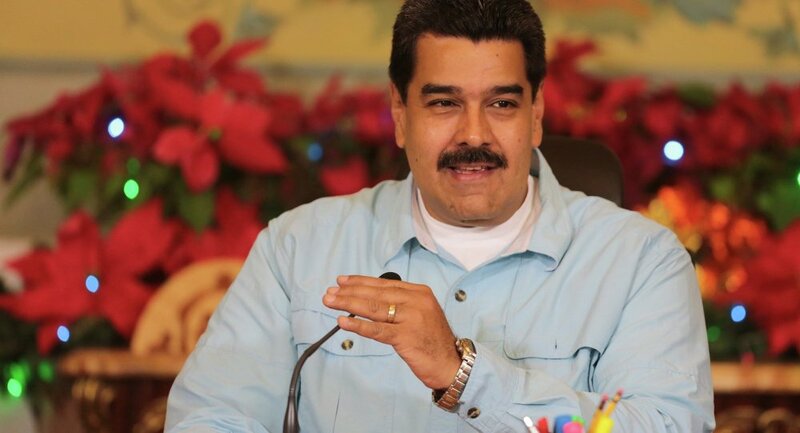 We will keep working on building a multipolar world," Maduro wrote in his Twitter. The Venezuelan president has also thanked Chinese leader Xi Jinping for the recognition of the election results. A number of countries, including the United States and the United Kingdom, have refused to recognize Maduro's victory in the Sunday election. Moreover, US President Donald Trump, citing fraudulent election, issued an executive order banning US citizens from all transactions tied to Venezuelan government debt. The order also prevented Venezuelan officials from selling equity in any entity majority-owned by the government. Trump said his administration took action to prevent Venezuelans officials from liquidating assets that could help Venezuela’s economy. The vote took place amid a severe financial crisis in Venezuela whose economy has been hit by falling oil prices. Caracas also experienced mass protests last year, which initially were organized in response to the highest court's decision to significantly limit the parliament's legislative powers.